According to a new report from NewVoiceMedia, businesses lose $62 billion per year because of poor customer service. 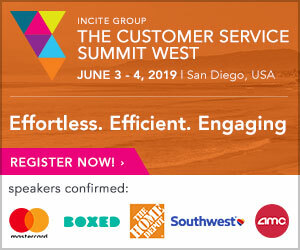 In addition, almost 50 percent of the surveyed respondents across the United States said they switched to a different business as a result of poor customer service. When it comes to treating clients well then, it’s easy to see that many ventures continue to drop the ball year after year. If you want to make sure that you don’t join their ranks, you must make customer service a priority today, and do so at every touchpoint in which consumers come in contact with your venture. One area that many entrepreneurs don’t consider enough when it comes to interacting with customers is that of referrals. While receiving new leads because of referrals from current customers can be a big boon to your business and dramatically increase sales, many organizations forget to do what they can to improve this metric. 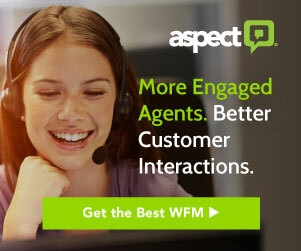 Happily, with some planning, useful strategies, and the right referral software, you can make it quick and easy for consumers to refer their friends to you. 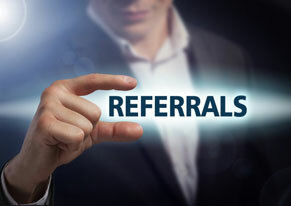 Read on for some tips to increase your rate of customer referrals today. While it may seem obvious, you won’t get very far if you don’t actually ask your customers for the referral! Many entrepreneurs wonder why they don’t receive many referrals, but when they analyze things they realize that they have been waiting for customers to provide one of their own accord, rather than actually proactively asking clients for the recommendation. Choosing the right time is important when it comes to asking for the referral though. The best point at which to request a referral is when your customer is in the most positive frame of mind about your business or product or service. When their enthusiasm is highest (such as when you have exceeded their expectations and they tell you as much, or when they have just completed their purchase), you should jump straight in and ask them then who they might know who could also benefit from your offerings. Keep in mind that typically it is better to ask for a referral when customers are in the “honeymoon phase” of their interaction with your business and what you sell. This timeframe will vary quite a bit according to your venture type and industry, but is essentially when customers are still connected to the “new-ness” of your product or service, but have also had enough time to be impressed by the results achieved from whatever it is that they purchased. You may need to test and measure this window of time to see what period works best for you. At the end of the day, most people are mainly focused on themselves and their own happiness and satisfaction. Entrepreneurs should keep this in mind when trying to increase their referral rate, as providing customers with incentives to recommend a business, product, or service can pay dividends. There are various ways you can go about encouraging users to give a referral, but some of the most popular tactics include offering discounts on their next purchase, a free gift with purchase, a shopping credit, a bonus, or free shipping. Remember that you can set the promotion up so that customers only receive the incentive if the person they referred signs up or buys something, which means you don’t have to worry about paying out more than you may receive. A good way to ensure that you and your team don’t forget to ask for referrals (and that you save time in the process) is to utilize referral software. Programs such as the Software-as-a-Source platform Extole automate the process of following up with and encouraging customers to provide a recommendation. Extole helps you turn current clients into advocates by designing a quick and easy-to-use refer-a-friend program that can be customized and branded specifically for your business. The system uses pre-built templates that work across various platforms (such as websites, mobiles and apps), and can provide real-time segmentation of your top influencers, sharers and most profitable customers. Extole is set up to provide referrers with instant rewards, which can be anything from gift cards and coupons, to loyalty points or discounts. In addition, the platform makes sure that every customer touchpoint can be catered to, with both inbound and outbound promotion for each campaign you create. The system’s in-depth analytics also makes it simple to find out how your campaigns are performing, and where they need optimizing. Tiffany Rowe is a marketing administrator who assists in contributing resourceful content throughout the World Wide Web. Tiffany prides herself in her ability to provide high quality content that readers will find valuable. When not researching, editing or submitting content you can find her doing Yoga, photography, D.I.Y crafting and dog training.